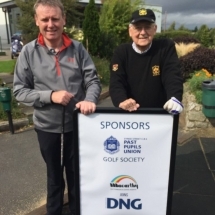 Our 2017 Captain Ray Martin hosted a hugely successful Captain’s prize day in his home club Edmondstown on Thursday 7th September 2017. 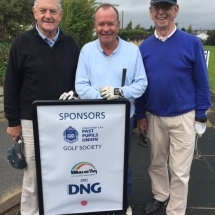 An excellent turnout of 42 golfers, including 6 visitors (past pupils of Westland Row, St Columba’s College, Wesley College, Mount Melleray and St Andrews College), played on a pleasant day on a course beautifully presented. 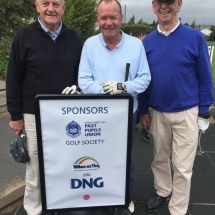 Fergus Reid was a very popular winner of the Captain’s prize with an excellent score of 39pts, 3 shots clear of a number of players who shot 36pts. 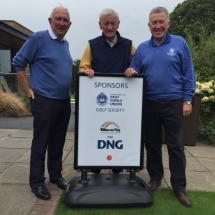 In his victory speech Fergus, with the Captain’s Cup in hand, thanked Captain Ray for the prize of a top class food and wine Hamper – his first major prize win in over 20 years of competitive golf. 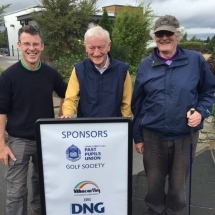 We were fortunate to attract a premium sponsor for the day in DNG/Cathal McCarthy which resulted in an excellent array of prizes including a visitors prize won by Bernard White. 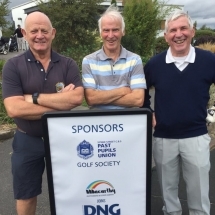 Our thanks also to the other sponsors including PPU President Damien Byrne. 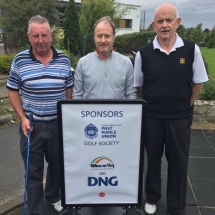 Edmondstown G.C proved to be an excellent venue, providing a great course, excellent food, first class facilities and really good value on what was generally accepted to have been a great day out. 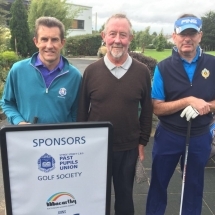 Proceeds from a raffle following the prize presentation together with the amount raised at the Presidents prize outing earlier in the year totalling €1035,which will be presented to the school by the PPU in November. 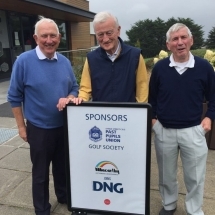 Ray announced Bryan Phelan as the Captain for 2018, our 70th anniversary.